Ctibor Borek Bayer (1925 – 2012) was born in Kyjov, the center of the Moravian Slovakia (Slovácko) region which lies in the southeastern part of the Moravia (Czech Republic) on the border with Slovakia. Bayer studied at the Faculty of Forestry Engineering in Brno, specializing in civil engineering. After graduation, he was employed in the fields of military construction and energy. Bayer yearned to be an artist and between1956-1959 he studied art education at the School of Applied Arts in Brno. Bayer’s work shows considerable articulation of opinion, oscillating between stylized figurative motifs to non-figurative compositions in which Borek responds to current social problems of all kinds. He was also a sculptor and has many works installed in public spaces in the Czech Republic. 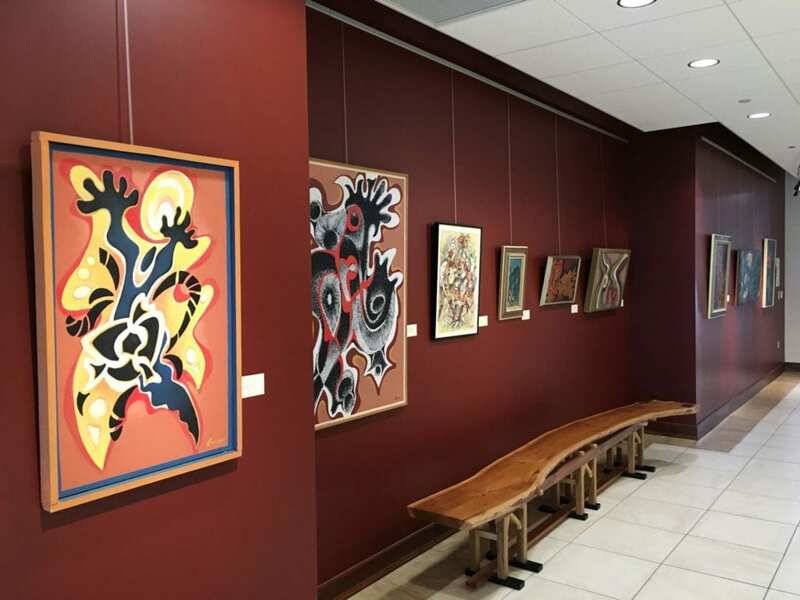 A selection of paintings by Borek Bayer that were donated to the NCSML by George Drost will be on display in the Anderson Gallery from March 25 through May 31.